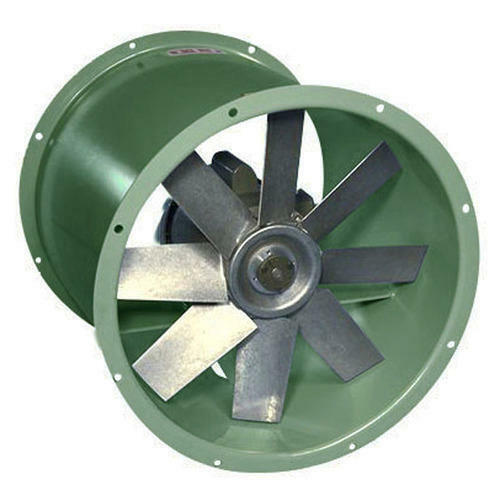 We Offer wide range of Belt Driven Axial Flow Fan that have evolved extremely effective at manufacturing, exporting and supplied. Our offered range is manufactured using supreme grade material and is extensively appreciated by our clients for its hitch-free operations, smooth performance and power efficiency. In addition to it, the offered axial flow fan undergoes various necessary quality tests till our team of quality controllers is assured of its unmatched performance. The offered range is contracted with uniform welding which provides strength and rigidity, its impeller is built with cast aluminum alloy and designed for optimum efficiency at lesser H.P. Trade MembershipWe have associate member with ISHRAE fast 2 years. We "SMD Engineering Equipments & Systems" is established in the year of 2010. We are engaged in Design, Manufacturing and exporting, trading and importing exclusive range of Painting Booths, Paint Shop Plant, Powder Coating Plant and Pollution control Equipments in South India our equipments are wide used in all engineering, automobile, chemical, cement, industries and in public sector industries.The agenda of our organization as a new entrant is not just delivering products but to win the trust and loyalty of as many clients as possible. This aim has pushed our organization to surface with an innovative and quality array of Pollution Control and Paint & Powder Coating Equipment. This range is appreciated by a wide base of clients for characteristics such as low power consumption, reduced multiple handling and minimum product loss. We deal in brand like Air Curtain and Mid Link. Further, we also offer a quality and high performance range of Pre-Treatment Plants. All the products delivered by us are tested on various parameters to ensure these are at par with the prevailing industry standards. With the assistance of a diligent team, we are able to render designing, erecting & commissioning services for turnkey projects. Countless orders are the result of the quality maintained by our team of experts, which makes use of quality material and graded components for the production of the range. This high on quality quotient range is manufactured at our state-of-the-art facility under the guidance of the experts with the aid of latest technology. All the finished products are delivered to the clients within the stipulated time frame through proper distribution system. Owing to these factors, we have been successful in catering to the requirements of the clients based in various parts of the country.